An ATX desktop case lying on its side, the rear closest to the camera. The motherboard will lie flat on the bottom, (which would be the right panel with the case upright). Peripheral connectors will protrude through the rear panel, drive bays at the top and front, and the power supply at the top and rear. Cases are usually constructed from steel (often SECC — Steel, electrogalvanized, cold-rolled, coil) or aluminium. Plastic is sometimes used, and other materials such as glass, wood and even Lego blocks have appeared in home-built cases. 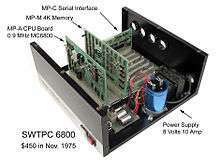 Currently, the most popular form factor for desktop computers is ATX, although microATX and small form factors have also become very popular for a variety of uses. 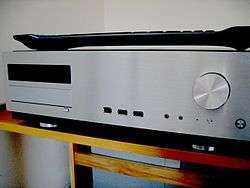 In the high-end segment the unofficial and loosely defined XL-ATX specification appeared around 2009. It extends the length of the mainboard to accommodate four graphics cards with dual-slot coolers. Some XL-ATX mainboards increase the mainboard's width as well, to allow more space for the CPU, Memory PWM and, in some cases, a second CPU socket. While the market share of these exotic high-end mainboards is very low, almost all high-end cases and many mainstream cases support XL-ATX (10 expansion slots). 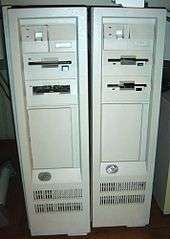 Companies like In Win Development, Shuttle Inc. and AOpen originally popularized small cases, for which FlexATX was the most common motherboard size. As of 2010 Mini ITX has widely replaced FlexATX as the most common small form factor mainboard standard. The latest mini ITX mainboards from Asus, Gigabyte, Zotac and Foxconn offer the same feature set as full size mainboards. High-end mini ITX mainboards support standard desktop CPUs, use standard memory DIMM sockets and feature a full size PCI-E 16× slot with support for the fastest graphics cards. 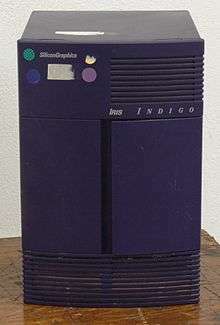 This allows customers to build a fully fledged high-end computer in a significantly smaller case. 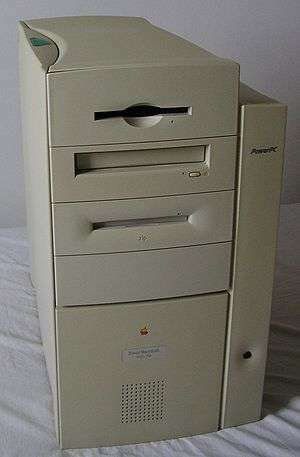 Apple Inc. has also produced the Mac Mini computer, which is similar in size to a standard CD-ROM drive. 1. The top of the case, usually allowing the PSU's built-in fan to act as an auxiliary exhaust fan, but causes the PSU to be fed air heated by the internal components of the case, thus causing PSU efficiency and lifespan degradation. 2. The bottom of the case, with a (often filtered) vent in the bottom of the case allowing the PSU to draw cool air from the outside. 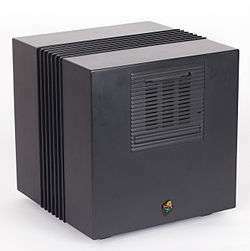 Most cases include drive bays on the front of the case; a typical ATX case includes both 5.25" and 3.5" bays. 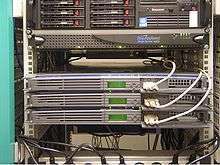 In modern computers, the former are used mainly for optical drives, while the latter are used for hard drives, floppy drives, and card readers. VIA OpenBook open case design standard. ↑ "Reference Guide - Case - Styles". ↑ "CoolerMaster Cosmos II Ultra Tower Case Review". Overclockers. January 27, 2012. Retrieved September 28, 2013. ↑ Tadeo, Aaron (January 13, 2011). "The CPU Versus the Computer Tower Case". Yahoo! Voices. Yahoo!. Retrieved October 25, 2013. ↑ "Don't call a computer a hard drive". One Technical. December 28, 2005. Retrieved October 25, 2013.